I’m sure you have a few sweaters in your closet that are destined for the donation pile. 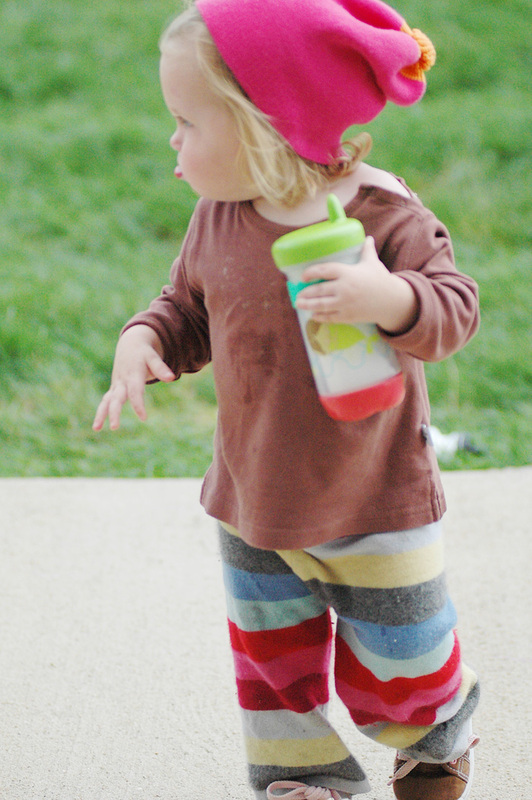 Did you know you can turn them into pants for your little one? This is one of my favorite fall projects. It’s free, and it only takes about 30 minutes to complete. 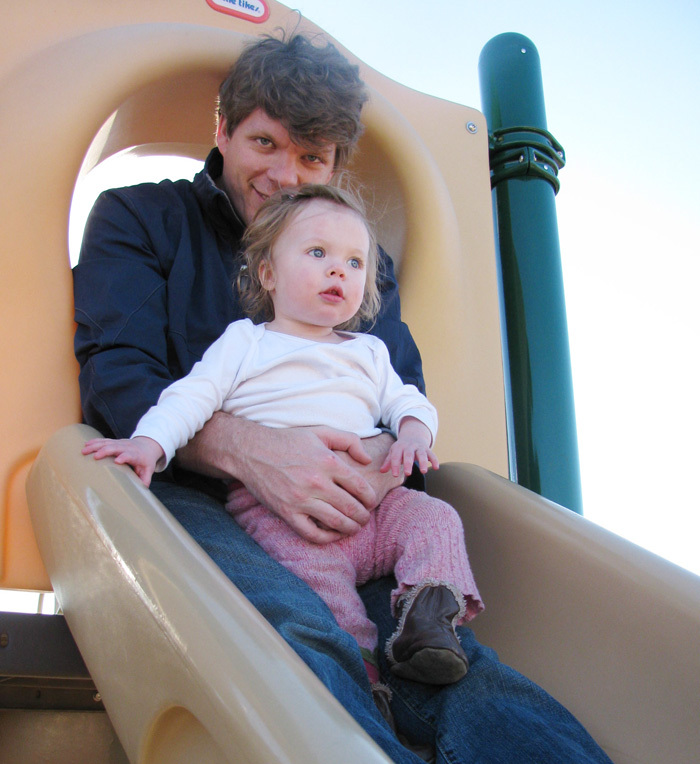 I blogged about it a couple years ago, but never included instructions. So I thought I’d revisit the topic with a full-fledged tutorial so you can try it at home. Of course, I’m all about winging it, and don’t bother with sewing patterns and pinning, so not every pair of pants I make is perfect (in fact, none of them are). But if you’re willing to accept my tutorial and all its flaws, let’s get started! 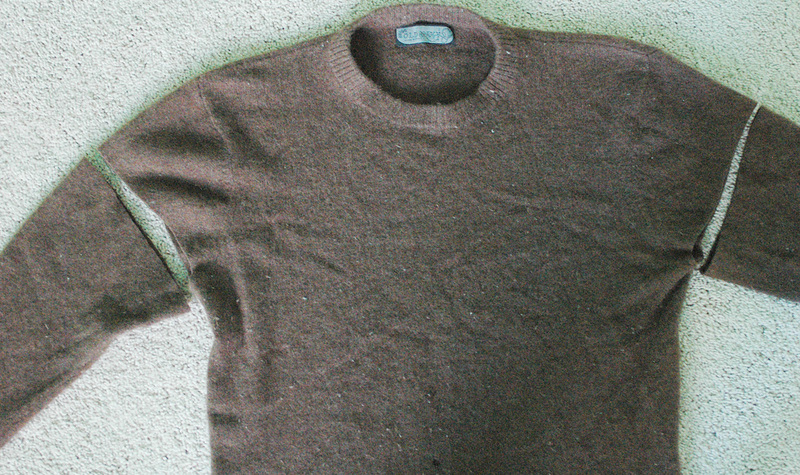 1) Grab an adult sweater that you don’t wear anymore. I personally like natural fibers like lambswool and cashmere, because they wick moisture and can double as diaper covers (if you do the cloth diaper thing, like we do). But any kind will do…fleece, cotton, or synthetic knits are all fine. 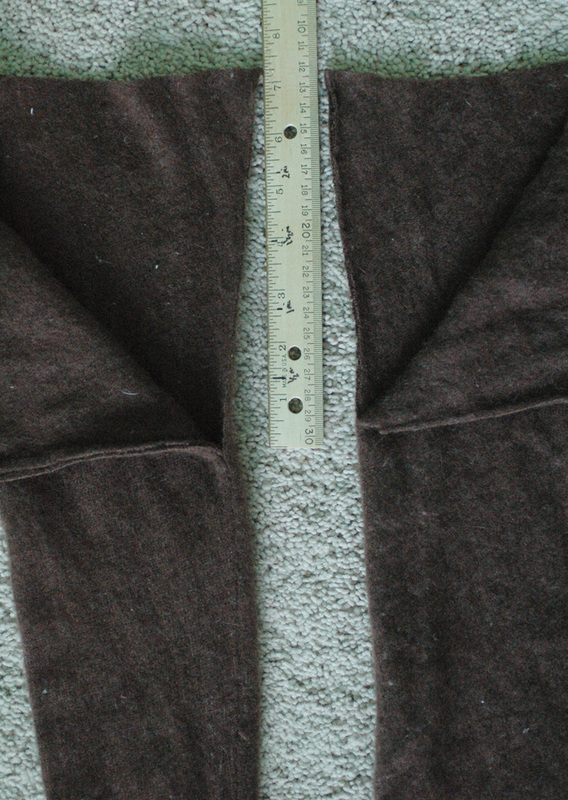 3) Now, you’ll want to cut along the inner seams about 7 or 8 inches. This will be the rise of the pants, so consider how big your baby is, or measure a pair of pants that he’s currently wearing. The rise will need to be longer if you cloth diaper to account for the extra bulk. 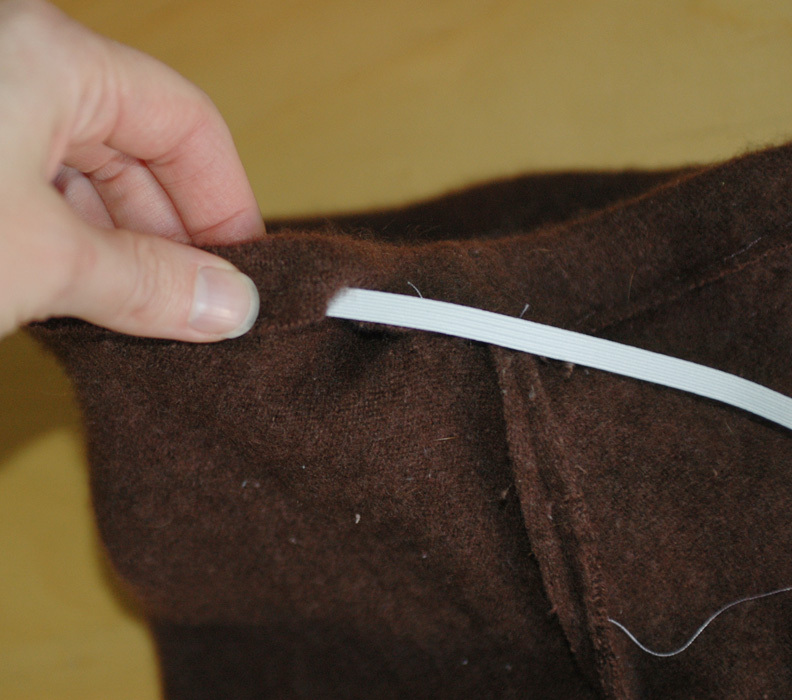 Sew along the seam back-to-front (it may help to turn the sleeves inside out and then sew). Note: I don’t bother with finding matching thread. But if you’re particular about that, you’ll want to match the thread to the dominant sweater color. If you have a serger, you may prefer using that too. 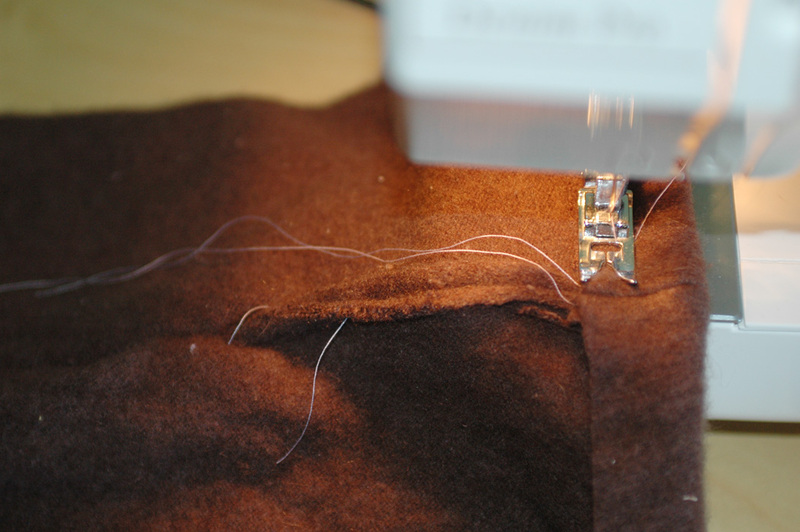 I just sew a tight, straight stitch on my oh-so-basic sewing machine. Be sure to back-stitch at the ends to prevent unraveling. 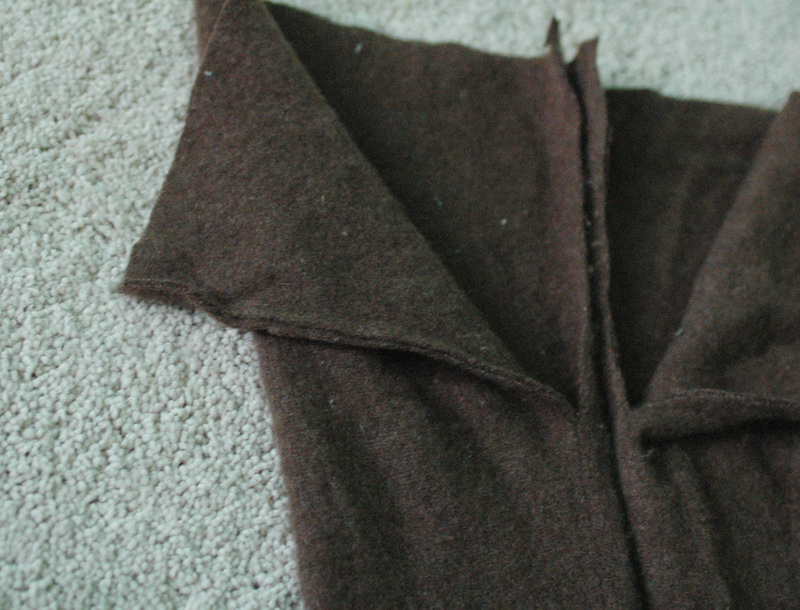 Once it looks tight enough, sew the elastic in place and trim the ends. Turn the pants right side out, and you’re done! As for what to do with the rest of the sweater? If it’s wool, you could felt it and make a little stuffed toy or piece together a patchwork quilt with the scraps. Maybe sew a cozy hat or slippers? how totally cute & crispina ffrench-ish! 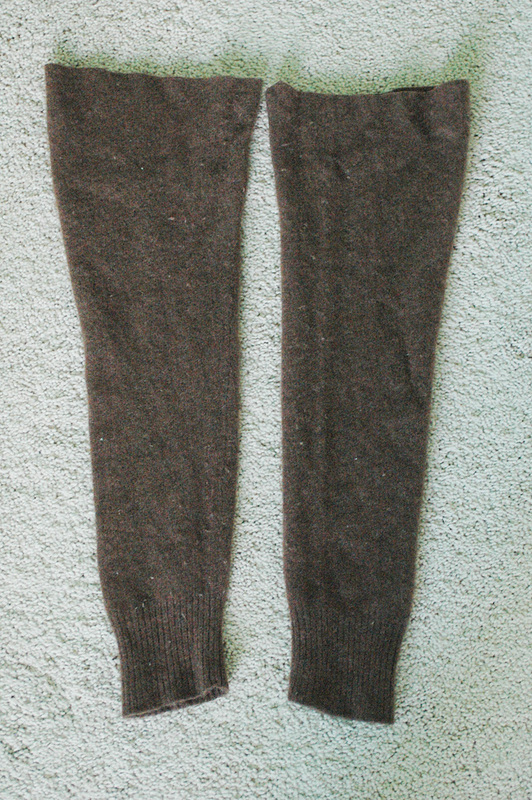 I made these with a cashmere sweater from the thrift store. I am not a seamstress but I pulled it off. They are super cute and I even managed to make a hat too. Thanks for the inspiration. I so want to make some of these for my son, but I love my jumpers – I feel a trip to the secondhand store is in order! Thanks so much for this idea. Very cool – if it wasn’t 2 days before Christmas, I think I would be heading out to Goodwill to find a sweater to chop up! Great tutorial, thanks for sharing! 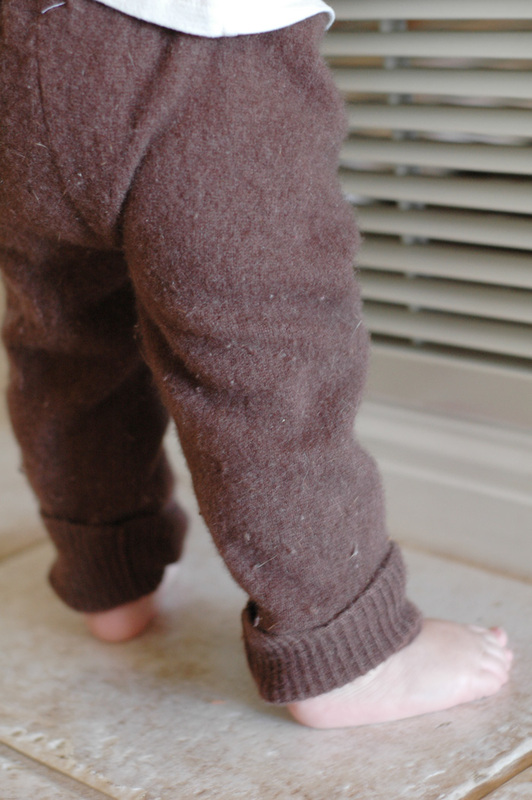 I just made my 8 month old a pair of these pants using my favourite old sweater that was shrunk accidentally. Glad to have a good use for it! Ahhh! Time to go find the few sweaters I had stashed away in case I someone how shrunk as much as they did but now I have something to use them for!!! This is great! 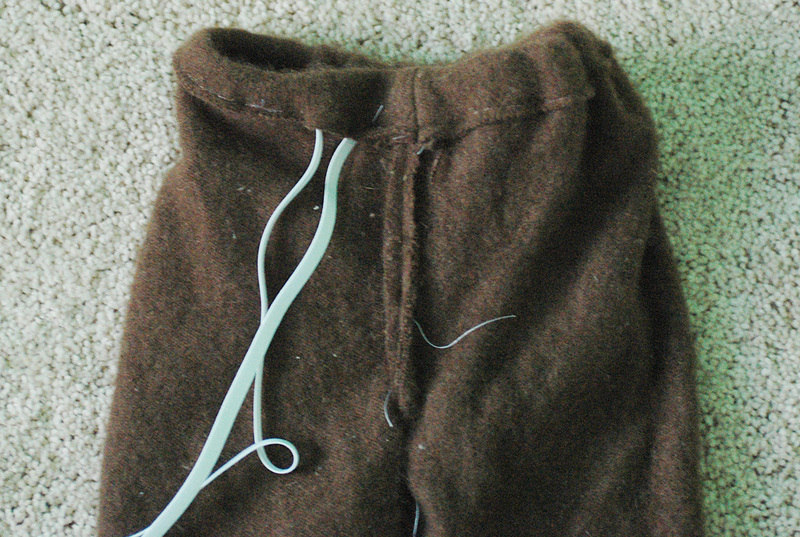 Just used this tutorial to make my 9 mo old daughter some purple sweater pants after using the body of the sweater to make myself a skirt. So nice to be able to repurpose the whole thing! Thanks for a great tutorial. Very easy to follow… a great quick project!